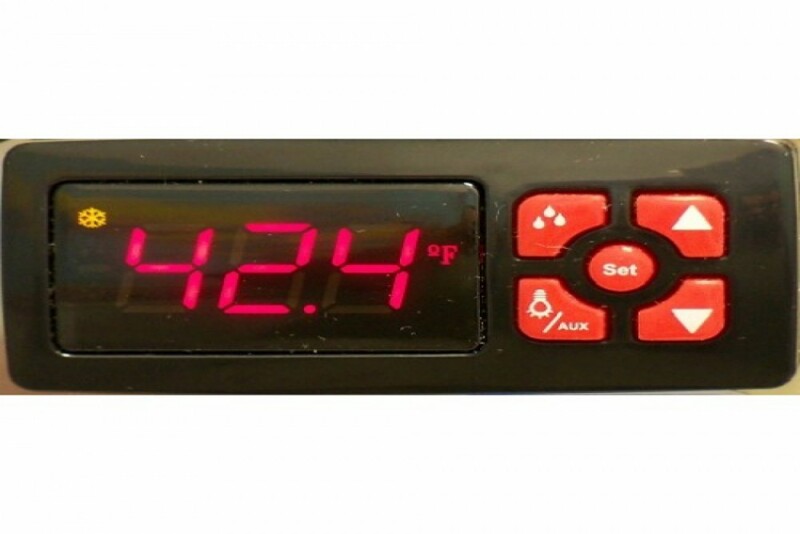 The 12V Coastal MKII Digital Thermostat features a remote, panel-mounted LED display, clearly letting you know what your box temp is at any time. This kit comes pre-wired with a fused 10' cable, and a sensor with 10' lead, both can be extended. • Sensor recognizes the box air temperature (as verses temperature of plate, as a mechanical thermostat does). • This can be used for refrigerator or freezer applications. • Simple-to-use buttons enable the set point and other parameters to be easily adjusted. • The temperature is always on display, letting you know that your system is running normally (or not!). • There are Buzzer alarms for high and low temperatures, as set by the operator. Shipped in Fahrenheit but can be adjusted to read in Celsius.